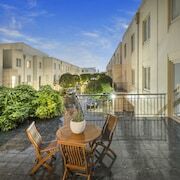 Situated in the business district, this apartment building is 2.4 mi (3.8 km) from Box Hill Central and within 12 mi (20 km) of Luna Park and Melbourne Cricket Ground. St. Kilda Beach and Royal Botanic Gardens are also within 12 mi (20 km). 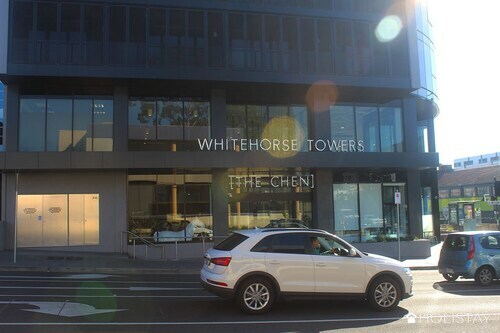 Situated in the business district, this luxury apartment building is 0.4 mi (0.7 km) from Deakin University and within 6 mi (10 km) of Monash University and Chadstone Shopping Mall. 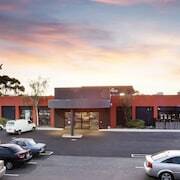 Monash Medical Centre Clayton and The Glen Shopping Centre are also within 6 mi (10 km). 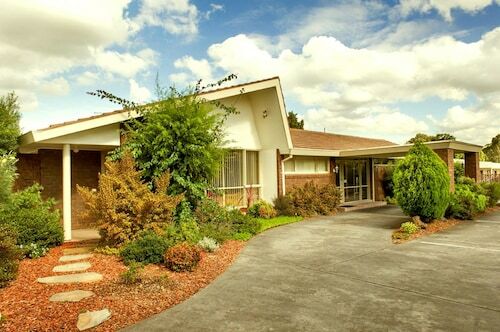 Situated in Box Hill South, this vacation home is 1.1 mi (1.7 km) from Deakin University and within 6 mi (10 km) of Monash University and Monash Medical Centre Clayton. Chadstone Shopping Mall and The Glen Shopping Centre are also within 6 mi (10 km). 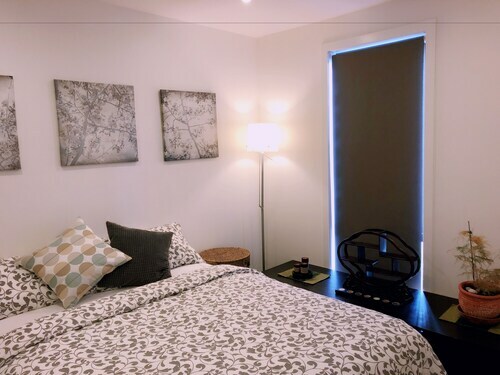 Situated in Box Hill, this apartment building is 1.7 mi (2.7 km) from Deakin University and within 6 mi (10 km) of Doncaster Shopping Centre and Swinburne University of Technology. Monash University and Chadstone Shopping Mall are also within 9 mi (15 km). Box Hill Station is 18 minutes by foot. 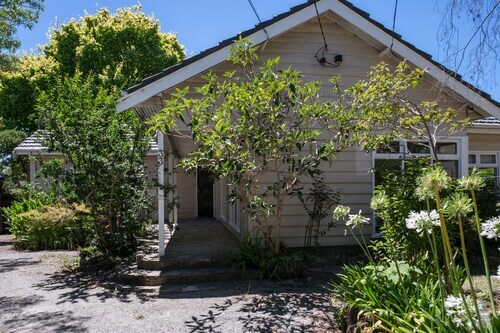 Situated in Camberwell, this vacation home is 2.1 mi (3.4 km) from Deakin University and within 6 mi (10 km) of Chadstone Shopping Mall and Swinburne University of Technology. Toorak Road and Bridge Road are also within 6 mi (10 km). Hartwell Station is 25 minutes by foot and Burwood Station is 28 minutes. Situated in Box Hill, this apartment building is 2.2 mi (3.5 km) from Deakin University and 2.8 mi (4.5 km) from Doncaster Shopping Centre. Monash University and Chadstone Shopping Mall are also within 9 mi (15 km). Box Hill Station is 8 minutes by foot and Laburnum Station is 20 minutes. 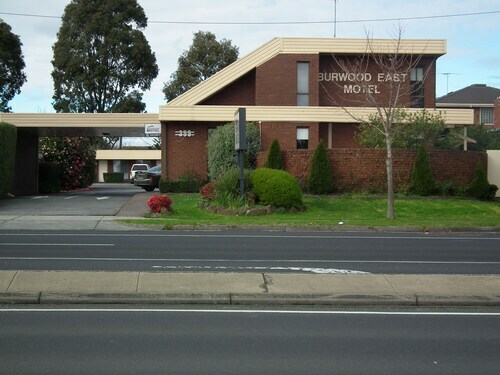 Situated in Burwood East, this motel is 2.3 mi (3.7 km) from Deakin University and 2.4 mi (3.8 km) from The Glen Shopping Centre. 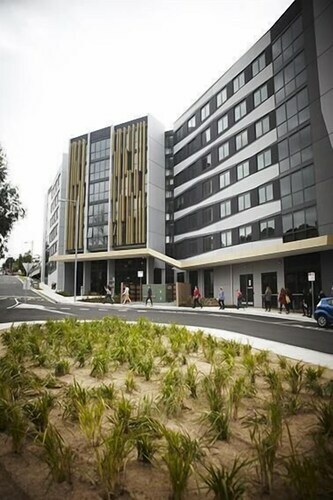 Monash University and Monash Medical Centre Clayton are also within 6 mi (10 km). 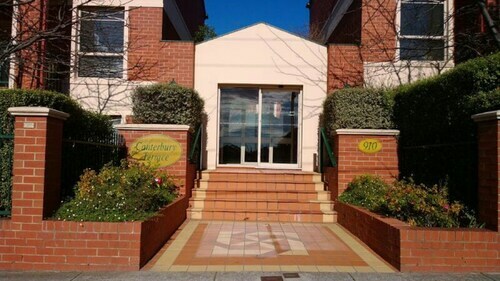 Situated in a shopping district, this apartment building is 2.5 mi (4.1 km) from Deakin University and 2.6 mi (4.1 km) from Doncaster Shopping Centre. Monash University and Chadstone Shopping Mall are also within 9 mi (15 km). Box Hill Station is 6 minutes by foot and Mont Albert Station is 18 minutes. 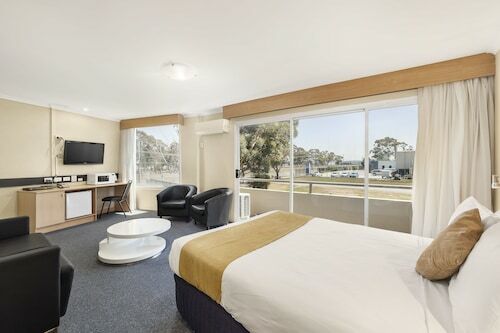 Situated in Box Hill, this luxury hotel is 2.5 mi (4.1 km) from Deakin University and 2.6 mi (4.1 km) from Doncaster Shopping Centre. Monash University and Chadstone Shopping Mall are also within 9 mi (15 km). Box Hill Station is 6 minutes by foot and Mont Albert Station is 18 minutes. 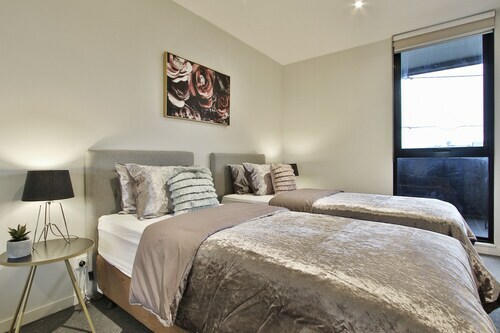 Situated in a shopping district, this luxury apartment building is 2.5 mi (4.1 km) from Deakin University and 2.6 mi (4.1 km) from Doncaster Shopping Centre. Monash University and Chadstone Shopping Mall are also within 9 mi (15 km). Box Hill Station is 6 minutes by foot and Mont Albert Station is 18 minutes. 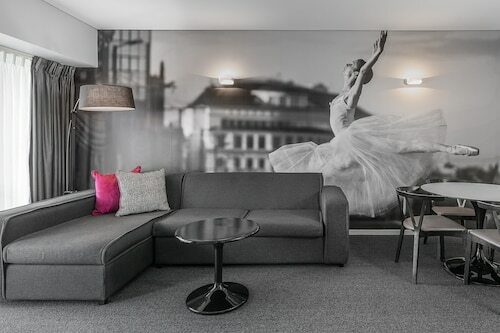 Ready to start planning your trip to Deakin University? 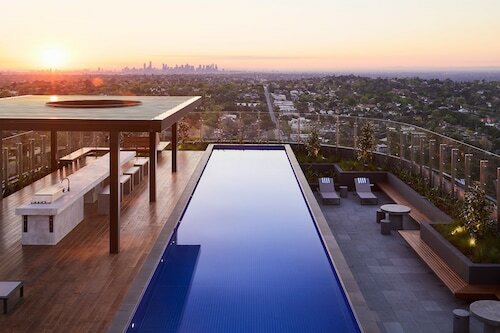 It won't be the only thing you'll want to check out in Melbourne, a state capital that has plenty to offer. 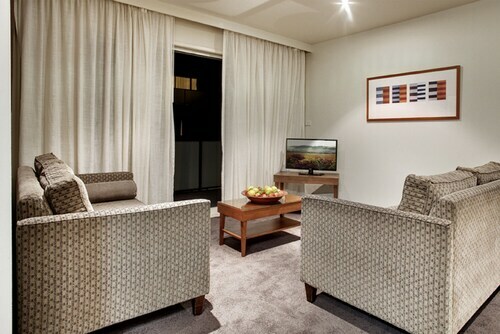 There are 6 hotels and apartments within easy commuting distance of Deakin University. 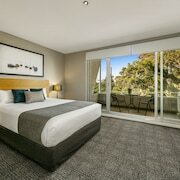 The Punthill Burwood (0.6 kilometres), the Box Hill Motel (0.8 kilometres) and the Australian Home Away @ Box Hill 32 (2 kilometres) are all excellent possibilities. Happy to fork out a bit more for the whole kit and caboodle? There are a few choices that'll fit the bill. 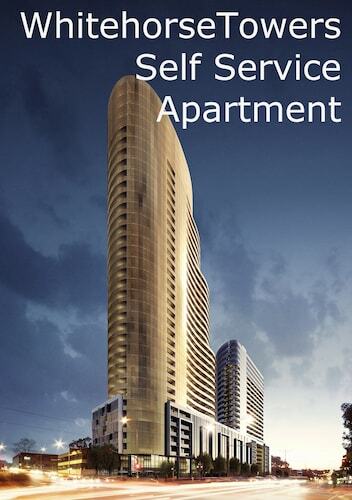 You simply can't do better than the Park Avenue – Glenview Glen Waverley and Quest Kew. If you're in need of your next caffeine hit, you'll find Sketches Cafe Bar Restaurant just a short walk away. When you can't go another step before quieting your growling stomach, stop by Domino's Pizza Burwood. 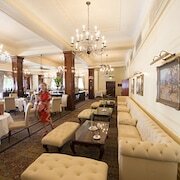 And later on, pull up a stool at Mrs Robinson Restaurant Bar Events to get to know the crowd. Separate yourself from the hustle and bustle by relaxing in Wattle Park. The halls of Box Hill Town Hall are privy to a wide variety of key decisions. Stop into this well-known civic building and have a listen for yourself. Treat the little tackers by visiting Sissy Chocolate Making Class, where you'll want to have a nibble on an assortment of delicious sweets. Go hiking through Outer Circle Rail Trail. Be sure to allow yourself enough time to pause and admire the scenery. Pause and grab a drink or check out the shops at Forest Hill Chase Shopping Centre. 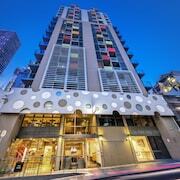 How Much is a Hotel Room in Deakin University? 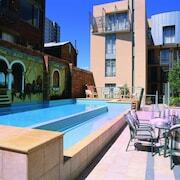 Hotels in Deakin University start at AU$120 per night. Prices and availability subject to change. Additional terms may apply.